I’m super excited about this just-announced event at The Mount this weekend. 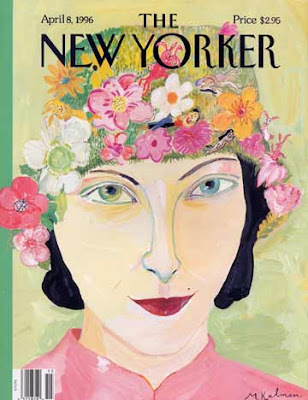 I worship Maira Kalman. Maira Kalman and Rick Meyerowitz are illustrators and humorists who are best known for their remarkable New Yorker cover, “New Yorkistan.” They will present a cool, summery refreshment of an illustrated talk featuring some of their work, and also featuring their completely irrelevant musings on Edith Wharton and her times. Maira Kalman was born in Tel Aviv. She has written and illustrated a dozen children’s books, and illustrated the classic writing manual The Elements of Style by Strunk and White. She has worked for the New York Times, The New Yorker, Interview, Travel and Leisure and many other publications. She is now a medium small journalist at large. Rick Meyerowitz was born in the Bronx and studied fine arts at Boston University. He was the most prolific contributor of illustrated articles to the National Lampoon magazine. He created the poster for Animal House, and the Lampoon‘s trademark visual, The Mona Gorilla. Rick’s new book, DRUNK STONED BRILLIANT DEAD: The Writers and Artists Who Made the National Lampoon So Insanely Great, will be published in 2009. The event will take place at The Mount located at 2 Plunkett Street, Lenox, Massachusetts and has a cost of $18 if reserved in advance (by 7/25 at 5pm) or $20 at the door. Contact The Mount at 413-551-5104. Oh, Gina, thanks for bringing this event to my attention! I just lent MK’s most brilliant book to our mutual friend Dan. I bought about 5 copies as gifts for friends and family this year, and it’s so great to know we share admiration for this incredible artist. I will be there on Saturday! Which do you think is her most brilliant book? The new one? I don’t have it yet, but that’ll probably change by Saturday. Her children’s books kept me sane through Annalena’s early childhood. I could read “Ooh-la-la (Max in Love)” a million times. yes, the most recent, The Principles of Uncertainty. I read it in the Times on line each month last year, and it touched something inside me so I knew I would have to own the book when it ws finally published. Now I just have to get it back from Dan so I can have her sign it! Maybe I’ll have him leave it with D tonight at JP.